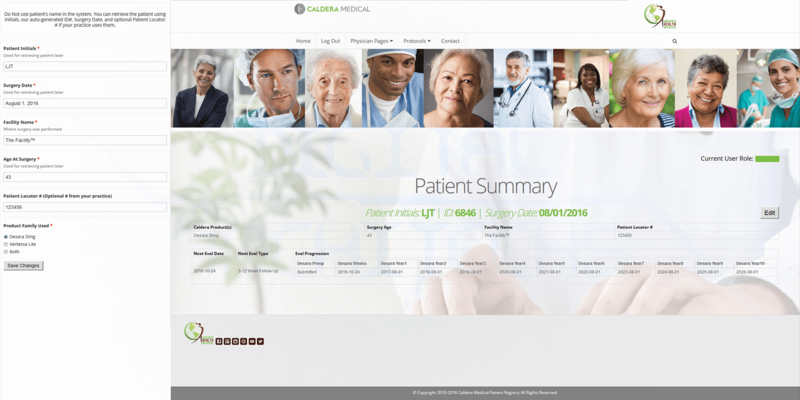 Caldera Registry was a partnership project, where we worked with another agency to bring custom functionality to life. 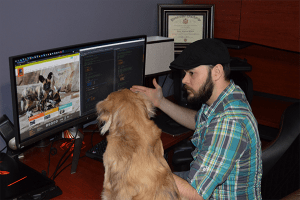 Back during our time as Digital Architechs, we were selected to customize the WordPress website to permit users to add, edit, and maintain data from the front-end of the website. The project was built to collect non-personally identifiable data from Patient Evaluations, when the client’s medical devices were used in surgery. 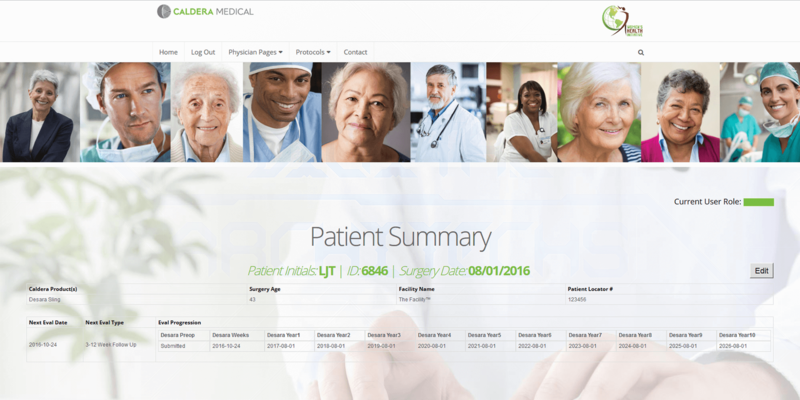 Caldera Registry included utilizing ACF Front-End Forms, so that Medical Practices could upload data collected during Patient Evaluations. Each practice could only interact with their own data and could not see or interact with any data from other practices. 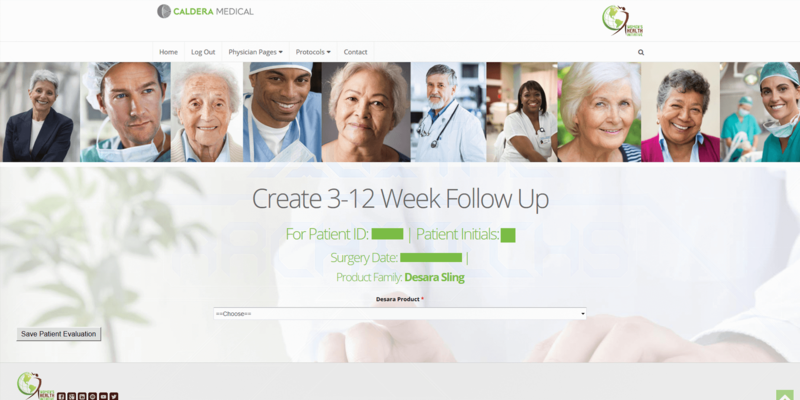 A primary purpose of Caldera Registry was to permit tracking of Patient Evaluations. Using custom code, a table was produced which showed which evaluations were obtained. The data could be sorted by many metrics, all of which required custom functionality. 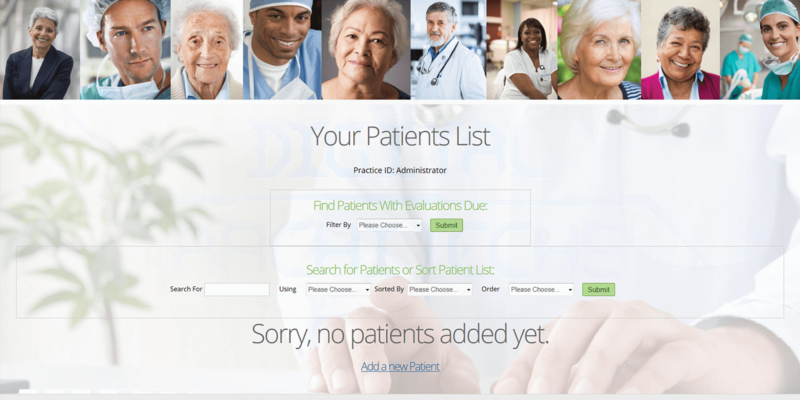 From the Evaluation Dashboard, users could view individual Patient information. This helped with being able to review evaluations from a single location to review how the patient was doing post-op. This page also displayed notifications when evaluations were due. To make editing content easier, we used ACF Front-End Forms and Sidr. Sidr is a jQuery Plugin that triggered a sidebar to slide out when a button is clicked. Users could update their data, click submit, and would be brought back to the same page for review. The Patient Evaluations were unique based on what medical device was utilized. Once a record had been assigned a Product Family, the options for evaluation forms would change. 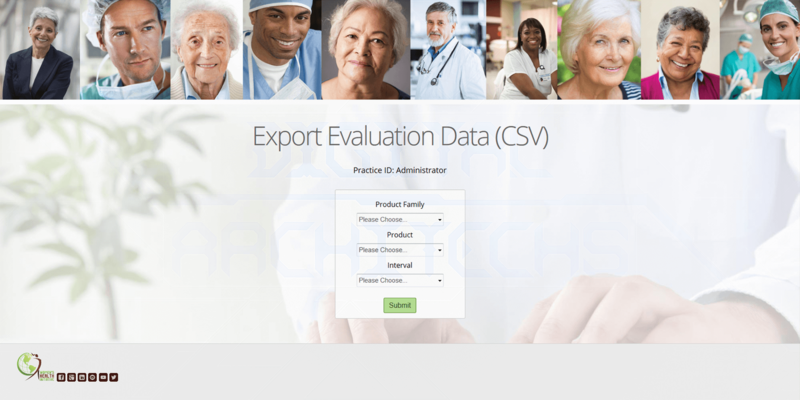 From a single page, users could submit data on every single type of evaluation with ease. 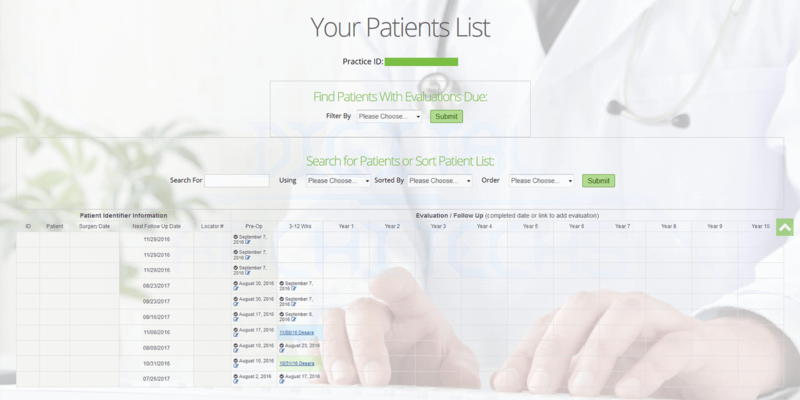 User roles were created for a medical practice, so that multiple users could access the same set of data. Exporting data required custom functionality to ensure that users were exporting only the data associated to their user role. I really enjoyed working on this project. The project was built in partnership with another agency and both companies worked well together. The unique challenges brought on by this project was a primary reason we took the project on. There were many moving parts that had to be kept in mind throughout development. If you have a custom project, similar to this one, do not hesitate to get in touch with us. With regards to custom development, there generally isn’t a way to have “specific experience” with what needs to be developed. Excidium Tech specializes in understanding complex goals so that we can build smart, highly effective, solutions. While not every project requires a custom solution, we are always on the look for unique projects where we can pull off the impossible. We don’t believe in “impossible” and only see it as a solution has yet to be found. If you have a unique challenge, contact us today!